C3yoyodesign has launched their new C3X Fingerspin yoyo, and they’ve released an amazing video featuring Ethan Wong and Kohta Watanabe to show off the capabilities of this stellar new throw. C3yoyodesign has launched the new Fingerspin yoyo, and they've released an amazing video featuring Ethan Wong and Kohta Watanabe to show off the capabilities of this stellar new yoyo. Yoyo used is the C3yoyodesign C3X Fingerspin. The 2016 Fingerspin Promo Contest was held on April 2nd, 2016 in Taiwan, and it looks like it was a great event! The contest is intended by the organizers to serve mostly as a promotional vehicle for modern yoyo play in Taiwan, and it looks like a fantastic event. Follow them on Facebook for info on future events. Looks like our friends at C3YoYoDesign are running a video contest promotion with video app Meipai! Check out the promo clip above, and full rules and details below. We are glad to cooperate with “美拍Meipai : the Video APP with 160 million worldwide user” and “台灣溜溜球活動FINGERSP.in” from Taiwan for holding the video contest in this October. Besides, Our Team C3 Japan, World Yoyo Champion Shinya Kido 城戶慎也 and Team C3 HK, European Yoyo Championship Open Champion Pong Si Yee Peter 龎思彥, who are the team members of C3yoyodesign as the judges this time. 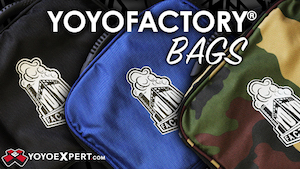 We hope to offer a platform of communication and athletics for the players from several places, and also, as an opportunity to show the difference from the former impression like a kid toy for the ones who never contact modern yoyo in recent years. Furthermore, there had been several national contests, intercontinental contests, and even world contests as a general athletic game. 3. Start to make your clip by Meipai APP and upload it. Rules : Clipping is not permitted. Only one cut. Rules : clipping is permitted. Rules : The video with most “likes” among 10/1~10/30. * No limit on repeat submitting. * Video time must be controlled in 60 seconds. * The prizewinner will get a Special Edition C3yoyodesign Gungnir with the logo of Meipai on it. * The submission is closed at 10/30 23:59. * The organizer reserve the right to modify any part of the rules mentioned above and the way for sending the prizes. C3YoYoDesign has a fingerspin video contest going right now…check out full rules and details below! C3yoyodesign FINGERSPIN Video Contest Start!!! Show off your best of the best FINGERSPIN tricks and get the limited edition Ethan Wong signature yoyo “MO-vitation”!!! Only have 5pcs in the world!!! Ready your C3 throws and camera right now!!!!! 1) Only C3yoyodesign yoyo can be used. 2) Show 3 fingerspin tricks in the video. 3) Fingerspin means “Finger”spin, so “Pen”, “Pencil”, “Marker” or any other tools are not allowed. BUT we accept Fingerspin with glove. 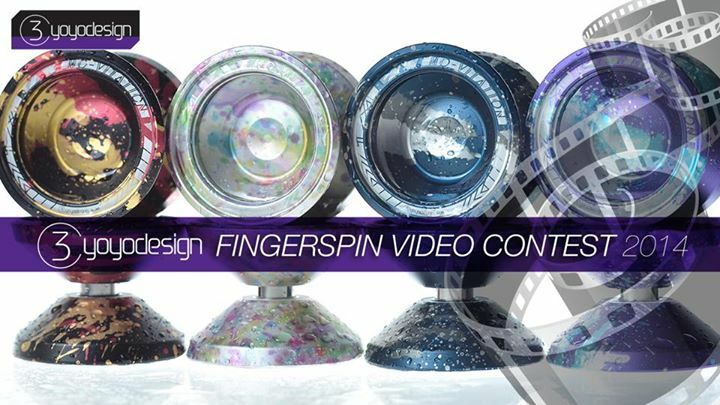 5) You must upload the video to Youtube with title “C3yoyodesign Fingerspin Video Contest 2014 – [your name]”. Deadline for entry is 23th October 2014 23:59 (HK Time). Result will be announced on 31th October, 2014. 1) We will only judge the video TAGGED C3yoyodesign and Hashtagged #C3FS2014.